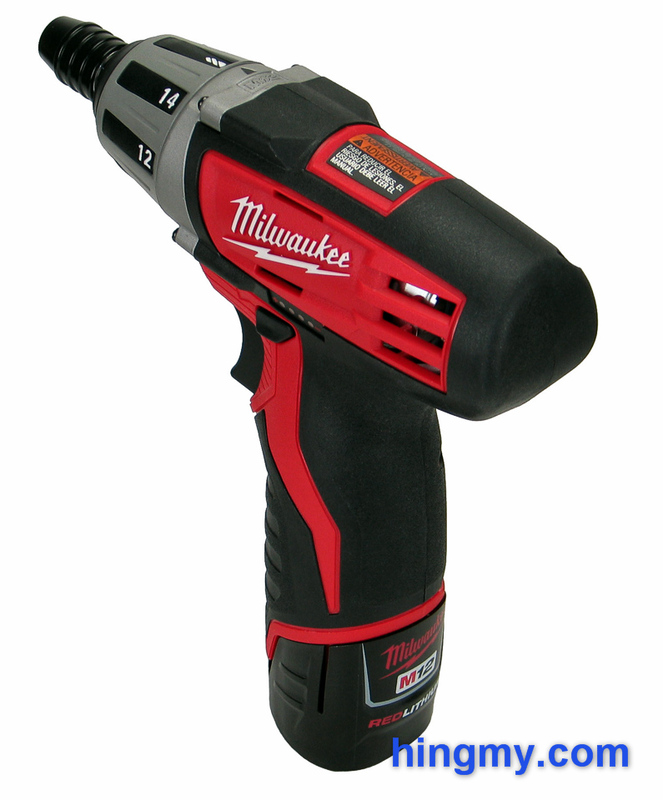 This week we'll take a look at the Milwaukee 2401, a compact drill/driver in the M12 line. Positioning a high quality tool with the matching price tag in the lower end of the torque range is always risky. 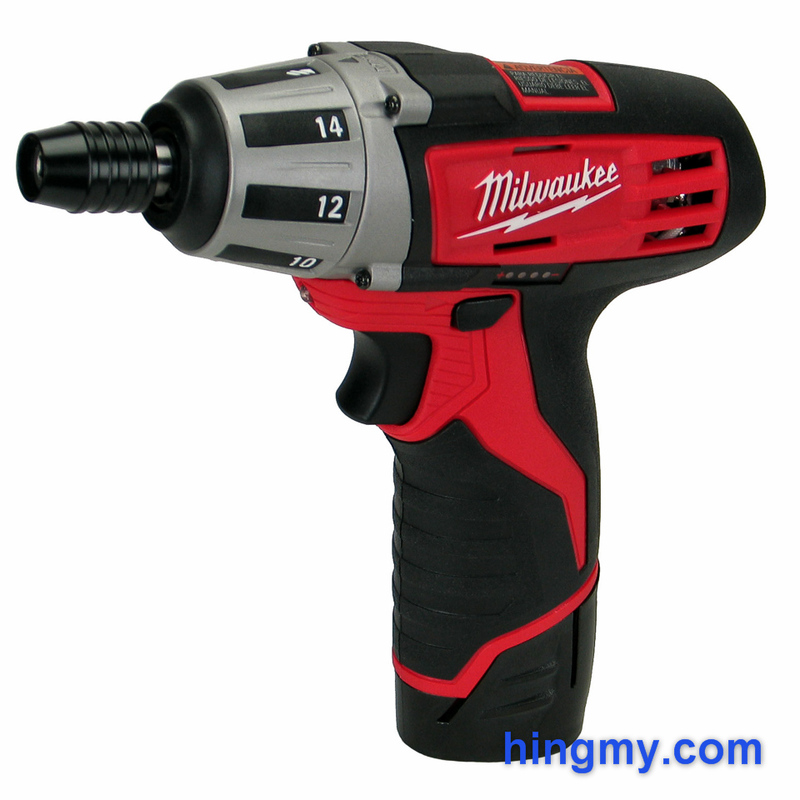 Let's take a look, if the engineers at Milwaukee managed to deliver a useful tool, or if the 2401 is simply too weak for what it is going for. 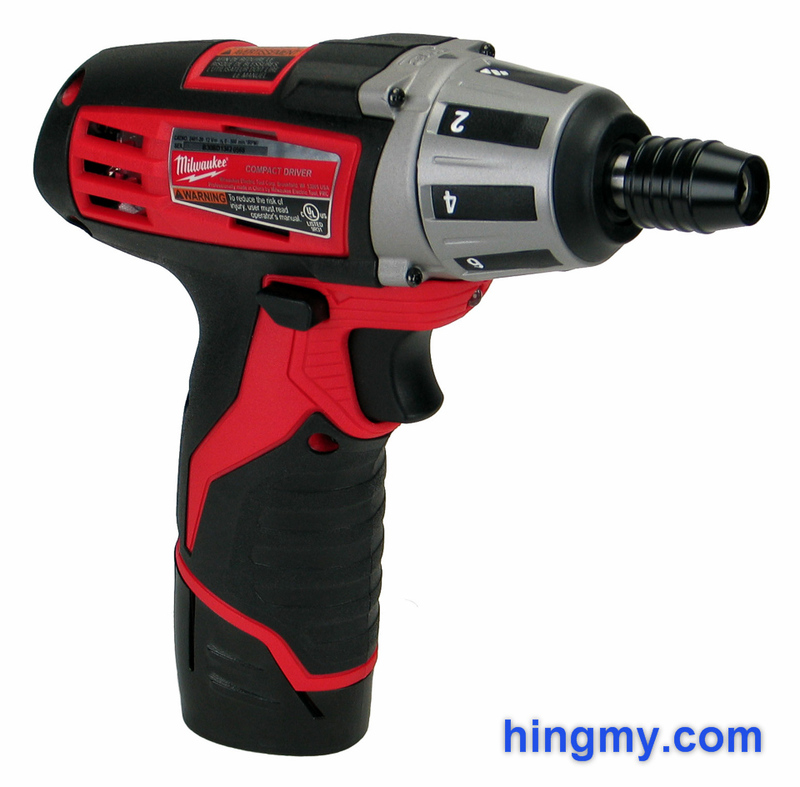 The 2401 is a cordless drill/driver with a 1/2" hex chuck from Milwaukee. It has been designed for low to medium torque applications that require frequent use of a clutch. The driver's 15 ft-lbs of torque and 500 rpm place it near the bottom of the performance chart. While these numbers are plenty for what this drill/driver has been designed to do, expecting it to do heavy-duty work is a misplaced notion. Build quality is high in typical Milwaukee fashion. The 2401 inherits the M12 line's sleek looks and exceptionally good grip. 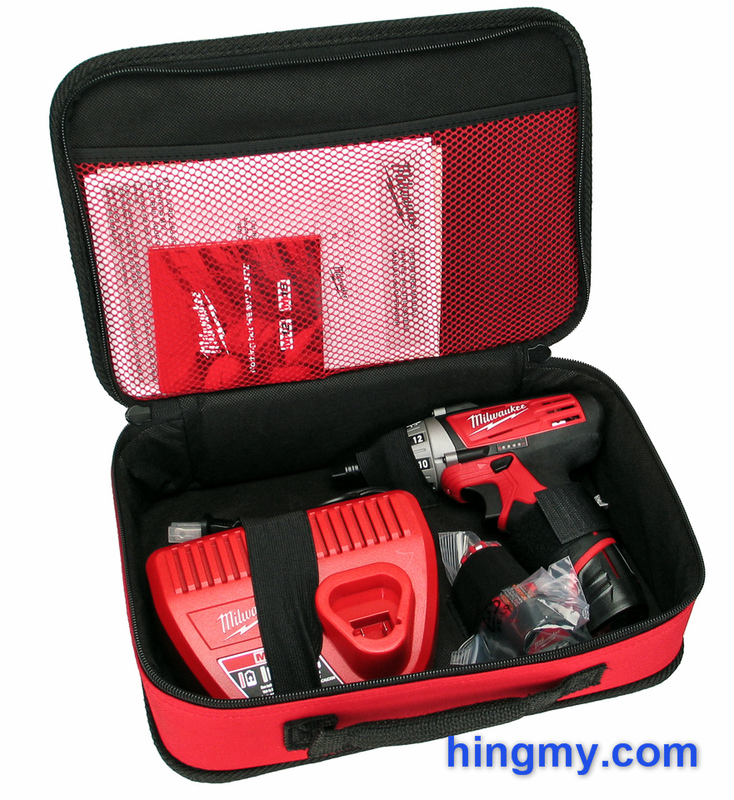 Its red, hard plastic shell is covered with black rubber in strategic places for comfort and to protect the tool from damage. Its small size makes it very maneuverable in tight places. The trigger of the 2401 is precise. Selecting and holding a specific speed takes little effort. The first 1/3 of the trigger's range is dead space, which creates a lose feel when using the driver. Milwaukee could have done better here. The 2401 offers exceptional performance when driving small fasteners, but quickly fails when the work gets tougher. The direction selector switch is also perfectly functional, but some somewhat poorly executed. Pushing the through-the-body slider from one side to the other feels very natural. The way it latches on either end fails to inspire the same feeling of quality the other parts of the tool possess. The work light located just above the trigger fails to light the area above the bit. On the positive side, the LED produces distortion free, white light. A light touch on the trigger turns the light on without engaging the motor. The light extinguishes as soon as the trigger is released. With a little patience the work light can be made to work on the job site, but the industry has moved on to better designs. Milwaukee equipped the 2401 with a good, but somewhat odd hex chuck. Made entirely out of metal the chuck works well and wears hard. It secures bits with authority, and ejects them with force when opened. The chuck does not close completely when using short bits that do not have a deep recess to receive the chuck's locking pin on their sidewalls. The bit still seats correctly and performance is not affected, but the chuck's black sleeve does not retract fully over the metal core. The 1/4" rim that results is visible when no bit is installed (see our product photos). When using longer bits that have the recess the chuck closes properly. The clutch of the 2401 is one of the better ones. Its 15 settings are spaced out evenly across a well chosen torque range. The first 6 settings provide everything you need when working with small fasteners. Torque increases steadily until setting 15, which provides just enough torque to sink a 3" screw into construction grade lumber. The large clutch ring rotates easily and locks into position positively. Anyone making frequent use of their driver's clutch, especially in the lower torque range, will like the 2401. Appliance and electronic repair are the perfect environment for the 2401. The battery gauge built into the side of this drill/driver follows the standard design found on all M12 tools. It lights up for a few seconds when the trigger is pressed. Four red LEDs communicate the battery status in a meaningful, but very coarse way. The gauge can tell a dead battery from a full one, but it won't tell you how many fasteners you can drive with the one you are currently using. The charger restores a flat battery in about 30 minutes. A solid green lights indicates when the charger is done. Fault states are clearly explained by a pictogram on the top of the charger. The 2401 appears to have been design for driving short to medium length fasteners. Never short of torque in this low-impact environment the driver seats fasteners with ease. The excellent clutch speeds up delicate work. The driver's small form factor and excellent handle make the work feel good. As the fasteners get larger the 2401 quickly begins to falter. It simply does not have the power or speed to compete with larger drivers. Using this driver for continuous work is not recommended. It'll perform poorly and die prematurely. The 2401 is clearly not a tool for construction. The 2401 does not have hammer gears. This leads to the driver jerking in the user's hand when driving fasteners at the limit of its torque range. Driving a few tough fasteners is not a problem, but using the 2401 for this kind of work regularly will hurt your wrist. Cabinet installers should take a pass. Drilling performance is very poor due to the low speed of the motor. 500 rpm is simply too slow to drill holes with accuracy and poise. The 2401 will see the finish line, but using this drill/driver on jobs that requires frequent drilling is not a good idea. Battery endurance is excellent. Unless you are working at blinding speed, the charger will restore the spare battery before the one installed on the driver runs out. The compact M12 battery holds enough power to drive over a hundred small fasteners. Driving long screws will drain the battery very fast, but doing so is not the 2401's strong suit anyways. One of the most compelling arguments for choosing the 2401 is the Milwaukee M12 battery system. You'll find many good tools compatible with the M12 battery in just about every category. Some of our all time favorites use this battery system. M12 tools as a group sacrifice top-end power for the better handling that comes with a smaller frame. They are ideal for users who demand great performance on a per-operation basis, but who don't work on large projects very often. The 2401 has a very narrow usage range. It works very well for installing short to medium length fasteners. The excellent clutch makes it a great tool for anyone who cares about precision. Electronics and appliance repair professionals, electricians, and hobbyists will like the 2401. The drill/driver's low torque output, missing hammer gear, and slow speed make it a poor choice for just about any other task. If your work matches what the 2401 can do, you'll get Milwaukee's high quality standard and an entry path into the excellent M12 battery system for your money.